There’s no podcast for this day because there was no sermon! Instead, we engaged in 4 prayer stations designed to help us take steps toward trusting God instead of worrying. 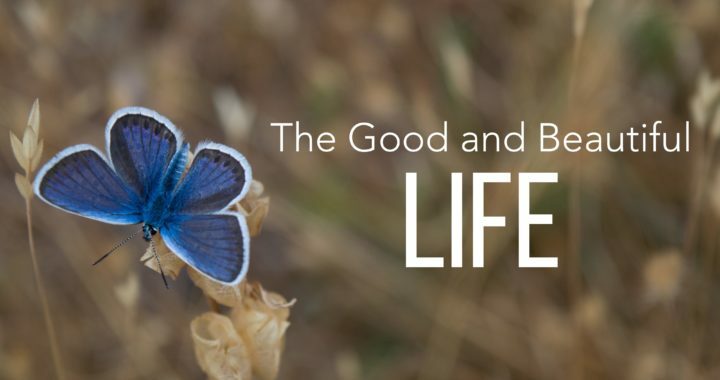 Chapter 10 of The Good and Beautiful Life is a great place to start. Resources are listed below if you would like to engage in these practices with us. Slowly read Matthew 6:25-33 and then move into one or more of these options. Option 2: Reflect on God’s past, stead provision and care in our lives. Prompts for writing and reflection can be found here. Option 3: Reflect on God’s provision and care in creation. Take a walk outside and pick up a leaf or acorn, or hold a flower. Reflect on the beauty of creation and of God’s good care of it all. Option 4: Mindful breathing allows us to awaken our own spirit, acknowledge the gift of life that God has provided, and turn that breath of life into prayer; joining our spirit with God’s. A step-by-step guide to prayer using mindful breathing can be found here. God has instituted prayer as a means of caring for us. We are invited to turn our cares into prayers. And when we do, we put the matter into God’s hands. This does not take away our responsibility in dealing with our concerns, but it places the concerns in the larger context of the kingdom. In what ways do you see the kingdom of God at work in the areas you pray about? Review the section titled “Jesus’ Narrative: Things Not to Worry About” (pp. 175-178). Reflect on the various points from this section that you find either challenging or helpful. The author tells us that Matthew 6:33 “is the key to the entire Sermon on theMount” (p. 178). Go to section “One Day at a Time” (pp. 180-81), and highlight points that are especially helpful or challenging to you. Then prayerfully engage Matthew 6:33. Posted in Podcast and tagged Matthew 6, worry.